I’m happy to say that I’ve just finished Indispensable (the large painting of the horse). This piece has been in the works for a few months, granted I had a couple of projects pop up as I was invited to do them, but this is one of my larger paintings. It is an acrylic on canvas, 20″ wide by 10″ high. 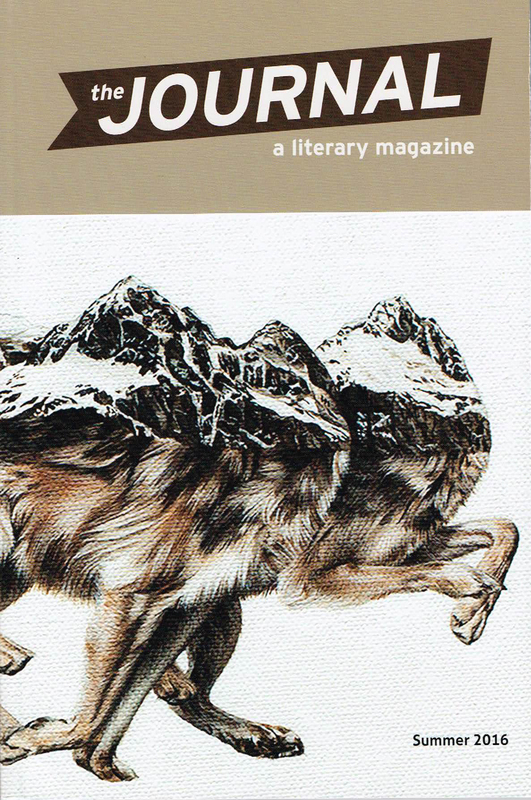 Indispensable connects a mountain landscape with a horse, representing the connection of all life while keeping with a recent theme exploring the question of anonymity versus connection. 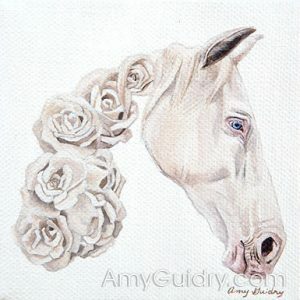 View it online here: https://amyguidry.com/indispensable.html. I also finished a couple of small paintings I’d been wanting to do. 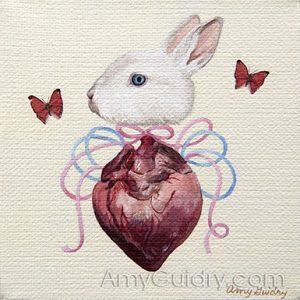 Cor and Corporis (Latin for heart and body, respectively) are acrylic on canvas, 4″ x 4.” Both feature rabbits and are complimentary paintings that work as a pair or as individual pieces, both using ribbon to connect to either the ribcage or the heart. 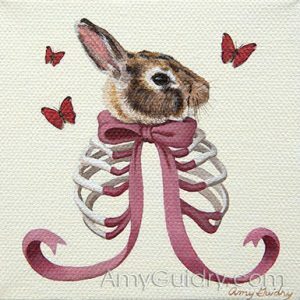 Seeing these organs and bones serves as a reminder of the biological similarities of all sentient beings. 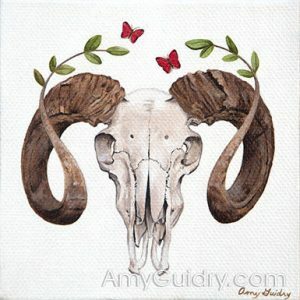 View them online here: https://amyguidry.com/corporis.html and here: https://amyguidry.com/cor.html.